Searching For Contemporary Homes in Park City? Park City, Utah has become known for its cutting-edge contemporary architectural style. If you are looking for a home that maximizes your interaction with the spectacular natural mountain setting, we think you'll love some of our contemporary Park City homes for sale. Do you like towering walls of glass and huge windows? Open floor plans that enable you to see and easily interact with your family and friends? 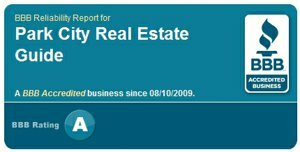 Then you'll like the wide-open floor plans of the contemporary Park City homes you'll find here on this page of our Park City real estate website. Contemporary home design doesn't need to be trendy, stark or industrial. Some Park City contemporary projects like The Parkite have pushed the design envelope with stark monochromatic color tones, but the most beloved contemporary Park City homes use materials the feel warm and inviting, not cold and unforgiving. The Stein Eriksen Residences were very well received by the marketplace, with over $200 million in sales of new ski-in ski-out Deer Valley condos. In the Park City, Utah area contemporary home builders are masters at blending classic organic materials like natural stone and rich woods with the natural environment. You get the best attributes of over-engineered sturdy steel construction, large open spaces, clean, contemporary lines, and timeless natural materials that create a beautiful harmony with the surrounding mountains and forests. Our favorite Park City's contemporary home building team features the acclaimed partnership between Mike Upwall architects, King Design Group, and Synergy Utah construction. This is the same team that delivered the wildly popular Enclave neighborhood of contemporary homes in the Sun Peak neighborhood, along with dozens of other stunning Park City contemporary homes. 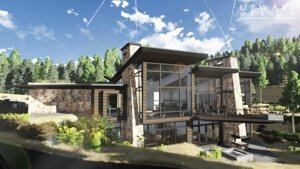 If you are looking to build a stunning new contemporary home in Park City, Utah, please check out their current projects above. Once you see them, we believe you'll agree with us that they're indeed masters of their trades when it comes to creating incredible contemporary Park City homes.